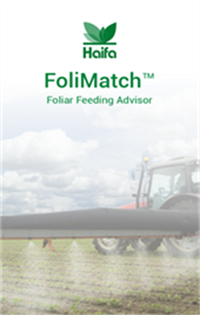 FoliMatch™ is designed to provide worldwide growers a handy tool to optimize foliar nutrition. 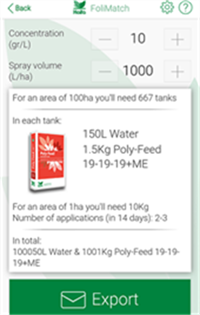 Based on methodological data at the user’s location, together with on-location parameters, growers are able to have an accurate recommendation and precise calculations needed for properly applying foliar spray. 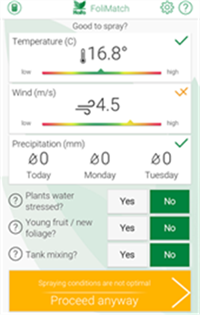 Haifa’s FoliMatch™ database includes the most relevant crops for foliar feeding application, with a special attention to specific phenology stages for each crop. 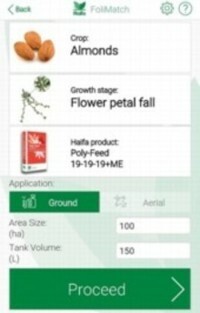 All to calculate the most percise foliar feeding for the crop.